Evaluation and treatment of voice, speech, and language problems including articulation, fluency, oral motor, phonological awareness, and language delay/atypical language development for children and adults. Evaluation and treatment for children with hearing, speech, and language disabilities. Speech-language pathology, audiology, special education, social work, sign language classes, sign language interpreters, oral interpreters, and related services. Barbara Taylor is a Speech-Language Pathologist and a Certified Orofacial Myologist (COM™). 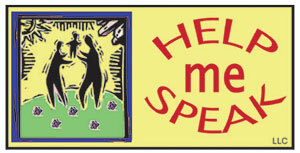 Help Me Speak, LLC provides evaluation and treatment of speech, eating, feeding, swallowing, language, & fluency difficulties. We provide parent training in every session. Our SLP Associates are trained in the following techniques & methods: Oromyofunctional Disorders (the function of face & mouth muscles during talking & eating), Myofascial tissue release, Voice Gym, ALF (Advanced Lightwire Functional appliance), oral Kinesio taping, PROMPT level 2, Fast ForWord, Wilson reading, Language visualization techniques, Beckman stretches/Deep Tissue Release, Talk Tools hierarchies, Kaufman techniques, Food Chaining, Toomey’s Sequential Oral Sensory (SOS) approach to feeding, Suzanne Evans Morris’ Mealtime strategies, Social Thinking, Interactive Metronome, T.E.A.C.C.H, A.E.I.O.U., Hanen’s More Than Words program, and other traditional methods. We accept BCBS, pediatric Medicaid, Kaiser, & private pay. Unbridled Rehab is a multi-faceted therapy practice that brings occupational therapy, physical therapy, and speech therapy services to home, community, and various specialty settings. Home and community-based support, resources, and coordination services for families that have a child with a developmental disability. Their services range from child to adult to senior. Services provided include PreP, treatment, and advocacy for children and adults with HIV infection. Information and support center for pediatric hearing loss and the auditory approach. Organization helps find resources not available from government programs or service systems, including scholarships, financial assistance, to blind children and individuals who are deaf-blind; library mails books postage free to borrowers. Advocacy organization for individuals with combined hearing and vision impairments; technical assistance. Information and support. Adaptive equipment, advocacy, counseling, education, services, respite care, therapy. Information, support, referrals, advocacy, public education. We also offer college scholarships for blind students; must be legally blind in both eyes. Application is available mid-November, due back Feb. 15th. Also publishes magazine, “The ACB Braille Forum,” in the odd months of the year in large print, braille, digital cartridge (also available via podcast and email), and “The ACB E-Forum” in the even months (email and podcast). The magazines may also be downloaded from the web site. Has a legislative hotline, “The Washington Connection,” available at 1-800-424-8666, with the latest updates on legislation of importance to blind and visually impaired people. The hotline is answered live between 2 and 5 p.m. Eastern. Holds an annual conference/convention in a different city each year, usually in July. It features a large trade show of the latest high- and low-tech gadgets for blind and visually impaired, as well as daily general sessions, interesting speakers, breakout sessions, technology seminars, workshops, and much more. Information and support for children and parents. Information, support groups, social events, and parent-to-parent networking. Asthma care training, patient assistance, teen and family support groups, physician referrals, lung function screening, lending library, education, and support. Information and support for families living with autism and autism related disorders. Local chapters provide information, referrals, seminars, and monthly support groups. National organization dedicated to raising funds and awareness through local walks and outreach events. Provides individualized phone and email assistance and connection to local resources through their Autism Response Team. Online resource for research, education, and advocacy developed by the Maryland State Department of Education. Diagnosis, treatment, information, education, and parent support for children with ADHD. The Bowen Foundation for Autism is a nonprofit organization that seeks to improve the lives of children with autism in Maryland. Our goal is pretty simple: we award grants to local families who are struggling to pay for needed services to benefit children with autism. The foundation runs a grant program in partnership with The Arc of the Central Chesapeake to reach families predominately in Anne Arundel County who need a little help. Some of these families have more than one child affected by this condition and we work to stretch our dollars to impact as many lives as possible. Information about public benefits, rehabilitation services, and support groups. Acts as a clearinghouse to provide information and referrals to survivors of brain injuries, family members, friends, and professionals. Serves individuals with cerebral palsy and their families living in Maryland. Local support groups offering information and support for children and adults with ADD/ADHD. Services and supports to persons with developmental disabilities. Monthly meetings to discuss medical, educational, social, and political concerns. Also hosts social events for families and kids. Parent education packet for families of newborns with Down syndrome available. Serves individuals with spina bifida living in Maryland, Virginia, and the District of Columbia. The mission is to support the needs of individuals with spina bifida, related disorders and their families. Program for children 18 mos-14 years to improve their physical and social skills. Support group for parents with guest speakers. Programs, information, support for people with Neurofibromatosis and their families. Information and referral services for patients with cleft palate, cleft lip, and/or craniofacial anomalies. Organization dedicated to improving the health of Maryland’s children and adults by advocating for and providing support and technical assistance to Maryland community-based behavioral health service providers and their constituents. Provides person-centered, community-based services; specialized to meet the support needs of children and adults with autism. Advocacy services and psychosocial services with deaf therapists for individuals ages 18 years and up. Program for children with vision and hearing impairments, birth through age 21. Children need not be completely deaf or completely blind to be eligible for services. Organization that provides activities for kids with cancer and their families: learning center, care packages, newsletter/Cool Kids Connection, and sport and concert events. Research information, referral, and support. Division that provides an array of services and assistance to children with developmental disabilities and their families. The primary means by which children with developmental disabilities receive support from DDA is through Family Support Services. The Rotunda, Suite 310, 711 W. 40th St.
Free one-on-one tutoring for low-income children and adults with dyslexia or other language-based learning disabilities. Provides a variety of services to children and adults with a range of disabilities, as well as support for their families. Coordinated services for military families with members that have special needs. Information and referral, counseling, public education services, advocacy, support group assistance, and consultation services for adults and families of children with epilepsy and other neurological disorders. Mission Statement: Transforming the lives of children and adults experiencing the impact of trauma by providing opportunities to build self-confidence, resilience and hope. Mental health and social services to individuals and families. Therapists skilled in American Sign Language provide treatment to those who are deaf, deaf-blind, and hearing impaired. All adult services. Baltimore, Frederick, and Landover Hills locations. Services for children with feeding and swallowing problems. Federal initiative devoted to preventing and treating FASD. Monthly meetings and events to support Carroll County families of autistic children and those who provide services to them. Advocacy, education, information, research funding, referrals, comprehensive kits, newsletter. International coalition of individuals, professionals, and genetic support organizations working to enhance the lives of everyone impacted by genetic conditions. Has a large alphabetical list of support groups for many genetic conditions. University of Kansas Medical Center website with a comprehensive list of Internet links to advocacy and support groups, organizations, information on genetic conditions and birth defects. Screening, treatment, and research for all types of cancers, specializing in tumors and hematologic cancers. Grupo para las familias de personas con enfermos mentales. Se reúne dos veces al mes. Family and individual support services. Evaluation and treatment services for communication disorders: language, articulation, stuttering, voice, and hearing. Education, information, support, and advocacy. Support Groups held at the Hearing and Speech Agency in Baltimore. Advocacy organization for people with bleeding disorders. HopeWell Cancer Support has been offering a broad range of support for people with cancer and those that love them for 24 years, at no charge. Our Kids Circle and Teen Circle programs are specially designed to help young people learn to cope with a cancer diagnosis in the family. Contact us at: 410-832-2719 or email us at cancerhelp@hopewellcancersupport.org to learn more. Howard County Autism Society provides support, promotes awareness, and advocates for individuals on the autism spectrum and their families. Support groups include a general support group, Asperger’s support group, transition and adulthood group, and a housing subcommittee group. Free behavioral services for children ages 3-21 in Central Maryland, who have a diagnosed developmental disability and meet the eligibility criteria for the Maryland Developmental Disabilities Administration. Family and individual support services. An online project linking researchers and families. Become part of IAN’s online community to stay informed about autism research, provide feedback, and make their voices heard. Information and support on Shy Bladder Syndrome. Leading global organization funding type 1 diabetes research. Teacher training in reading methods, study skills course for middle school students with language learning problems, and individualized education consultation services for students in grades 1-8. Also provides occasional public workshops for teachers and others. Provides specialized dentistry for infants, children, young adults and special needs in a warm, caring and “child-friendly” environment. JSSA is a nonprofit social service agency providing counseling, care management, deaf and hard of hearing services, life skills training, and disability employment services. We also offer social skills therapy groups and social clubs for individuals with special needs, plus family support groups for their loved ones. Diagnosis, evaluation, education, and treatment resources. A comprehensive resource for children with developmental disabilities and their families, providing diagnosis, evaluation, and inpatient services, outpatient clinics, training, and community-based home programs. Diagnosis, evaluation, education, and treatment resources, including inpatient rehabilitation, Specialized Transition Program (an intensive full-day therapy and education program), and a Home and Community Program. Information and support for those who have, or are suspected of having, this frequently misdiagnosed genetic condition. Works to educate, train, and provide technical support for families and professionals in meeting the needs of deaf and hard of hearing children. Organization dedicated to identifying causes and promoting prevention of learning disabilities and to enhancing the quality of life for all individuals with learning disabilities and their families by encouraging effective identification and intervention. Website has contact information for local chapters in Montgomery, Calvert, Howard, St. Mary’s, and Prince George’s Counties. Research, patient aid, public education, professional education, and community service. Lindamood-Bell helps children and adults improve language processing—the foundation of all communication and learning. For 30 years, our intensive, one-to-one, process-based instruction has been used to strengthen the sensory-cognitive functions needed for reading and comprehension. Our instruction is based on the individual’s learning needs and has been proven successful for individuals with learning challenges, including dyslexia, hyperlexia, ADHD, and ASD. Offered throughout Maryland and D.C.
A program that provides makeovers for cancer patients. Helps children and adults with low vision maintain their independence through vision aids, mentorship, and ideas. A clinical center for people of all ages who experience difficulty in psychology, pastoral counseling, hearing, speech and language. Organization that works to improve the health of babies by preventing birth defects, premature birth and infant mortality through funding research, community services, education, and advocacy. Supports the growing needs of both families and individuals with Asperger’s Syndrome. In addition to serving those with Asperger’s Syndrome, we serve those individuals who have normal to high intelligence and experience social-communication difficulties and sensory integration problems. Maryland Association of the Deaf, Inc.
Organization to safeguard, maintain, and advance the civic, educational, and social welfare of people in Maryland who are deaf and hard of hearing. A non-profit organization dedicated to promoting and protecting the rights of deaf and hard of hearing children and adults in the state of Maryland to utilize and have access to Cued Speech in all settings. Advocacy organization for public policy and supportive practices and opportunities that promote the full inclusion of all people with developmental disabilities in community life. Organization that protects and advocates for the rights of people with disabilities. Publishes Maryland’s Autism Waiver; A Practical Guide for Families, available online. Maryland Department of Health and Mental Hygiene. Comprehensive action plan for prevention of FASD and improving the system of care for families and individuals affected by FASD. Management for the Public Mental Health System for Medicaid recipients and other individuals with low incomes who cannot afford the cost of medically necessary mental health care. Call to find out if you are eligible or to get a referral. Free public service available 24/7, 365 days a year that helps people who are hard of hearing communicate on the telephone. School for grades K-12. In-home support for parents of infants or toddlers; provides referrals to other resources. Preschool vision screenings, counseling on eye diseases and eye conditions, information about eye safety, and referrals. Free library service for individuals with print disabilities. Offers books on a wide range of subjects in Braille, audio, and large print formats. Offers downloadable books using apps on iOS and Android devices. Second Saturday 10 A.M. – 2 P.M. Advocacy organization focused on the families of children with emotional, behavioral, or mental health disabilities. Provides information, networking, and referral. Education and advocacy regarding all aspects of mental health and mental illness. Person-to-person help and peer counseling for individuals of all ages with ostomies or alternate procedures. Services for blind, visually impaired, and physically disabled people who cannot effectively read print, including dial-in newspaper and magazine service, radio reading services, and audio description services. Specialized treatment of children with developmental delays. Diabetes Education and Skills Training program. Specialized treatment of children with learning disabilities. Service to help children with chronic lung disease and breathing disorders. Local affiliates offer referrals to local mental health professionals, education, support, and advocacy for individuals and families dealing with mental illness. Oldest and largest constituency organization safeguarding the accessibility and civil rights of deaf and hard-of-hearing Americans in education, employment, health care, and telecommunications. Information, education, advocacy, legal assistance. Information, resources, and educational programs. Has a nationwide, computerized resource clearinghouse committed solely to LD. Conducts public awareness and advocacy programs. Mission to assure the quality of cancer care through programs, policy expertise, and publications. Parent-run organization focused on the needs of children with emotional, behavioral, or mental disorders and their families. Provides information, networking, and referral. Affiliate: MCF/Maryland Coalition of Families for Children’s Mental Health. Education, advocacy, assistance, scholarships, and counseling to families of blind children. Materials in Braille, print, or cassettes available. Operates the Braille and Technology Center for the Blind, which has Braille and speech assistive devices. The NIDCD, part of the National Institutes of Health (NIH), conducts and supports research and research training on normal and disordered processes of hearing, balance, taste, smell, voice, speech, and language. It does this through a program of grants and contracts in basic, clinical, and translational research. The NIDCD supports research that leads to scientific discovery and uses a wide range of biomedical and behavioral research approaches. NIDCD-supported research has made important contributions to the body of knowledge needed to help people with communication disorders and to advance our understanding of all aspects of human communication. The NIDCD also provides health information, based upon scientific discovery, to the public. Improving the health and well being of individuals and families affected by kidney disease. Information and support for families affected by MPS (Mucopolysaccharidosis) and related diseases. Information, support, and referrals for affected individuals, their families, and others. Monthly support group for those in the Washington, D.C. area. Information and support services to individuals and their families affected by Tay-Sachs and related disorders. Support, education and awareness about neurofibromatosis. Clearinghouse of information and resources on rare disorders. Provides information about support groups where available. Patient Services Program provides counseling and advice. Articles and information on more than 1000 rare disorders. Family support, informational resources, community awareness, and individual therapeutic and medical care. Information, support, and advocacy for those afflicted with osteogenesis imperfecta. An affiliate of the Kennedy Krieger Institute. Counseling and mental health services. Mutual support, coping strategies, community resources, and networking. Jewish Social Services Agency. Support, information, and counseling. Free child care during meetings. Resource and referral programs and services for children with autism and their families. Located at Kennedy Krieger, offering diagnosis, evaluation, education, and treatment resources. Planned Lifetime Assistance Network of Maryland-D.C.
Fee-based management services for individuals with mental illness, providing both immediate and long-term help with benefit programs, financial management, housing, jobs, medical care, and socialization. Information and support for those affected by Prader-Willi Syndrome. Program to serve people who are either visually or physically impaired who cannot read standard print. Volunteers read portions of selected newspapers and magazines; readings are broadcast on radio or on stereo TVs over the Second Audio Program (SAP) channel. Organization for parents, educators, and health care professionals working with children with sensory challenges. Short- to long-term inpatient care and day hospital for children ages 5-18. Child and Adolescent Services. Provides compassionate care and individual attention to children with Autism, and emotional and behavioral disabilities. National organization devoted to education, advocacy, and research related to the early recognition and treatment of trauma-related stress in children. Mission is to promote the prevention of youth suicide and to dispel the social stigma surrounding suicide and depression through a campaign of education and awareness at the community level. Diagnostic and therapeutic services for speech and audiology needs. Dedicated to promoting the prevention of Spina Bifida and to enhancing the lives of all affected. Serves individuals with Spina Bifida and their families in throughout DC, Maryland, Virginia, and the surrounding states. Network of families and professionals dedicated to the care of children with trisomy 18, 13 and other chromosomal disorders. Information and support for children and adolescents with cancer and their families to encourage advocacy and to support research. Statewide advocacy organization assisting persons with intellectual and developmental disabilities in Maryland. Provides social skills, summer camps and activities for students with autism spectrum disorders. Provides financial assistance and advocacy for anyone undergoing cancer treatment in MD. Comprehensive evaluation and evidence-based treatment for children, adolescents and adults with eating disorders including anorexia nervosa, bulimia nervosa, ARFID, binge eating disorder and co-occurring issues such as depression and anxiety. Initial consultations and assessments available by phone. Most insurances accepted. Support for parents of children with feeding concerns. Nonprofit organization dedicated to helping individuals with dyslexia, their families, and the communities that support them. A statewide resource center that provides outreach, educational and residential services for students from birth to age 21 who are blind or visually impaired, including those with multiple disabilities. Resource finder helps families and professionals locate information and resources pertaining to developmental disabilities and related disorders. A project of the Maryland Center for Developmental Disabilities at Kennedy Krieger Institute. Advocacy, education, information, and referral and support groups for those afflicted with Tourette Syndrome. Evaluation and tutoring for children and adults who want to improve their literacy skills or who have learning difficulties. Workshops for parents and guardians on how to assist their children with reading and writing. Services for teenagers and young adults diagnosed with cancer. Advocacy, research, group discussions, and links. UNA is a non profit organization that enriches the lives of people with development disabilities. A developmental optometrist with nearly 40 years experience diagnosing binocular vision problems that can interfere with reading and learning. Through specialized testing, and individualized vision therapy treatment plans, patients are able to improve visual function, as well as school, sports, and job performance. Call for info for child and adolescents programs. Information, support, programs, and services for individuals with Williams syndrome, their families, and professionals who work with them.